A European bison, whose sudden death at a Moscow region nature reserve earlier this month sparked outrage among conservationists, was felled not by food poisoning, but by an overdose on speed, according to a forensic study, RIA-Novosti reported. The bizarre death of Shponti, a mating bull imported from Germany to boost Russia’s breeding program, was initially chalked up to rotten fruits. But an independent study revealed that the 1,300 kilogram animal had elevated levels of amphetamines in his kidneys, enough to cause cardiac arrest, the state-owned news agency reported. It was not immediately clear how Shponti could have ingested the powerful drug. The Priosko-Terrasny reserve has been at the center of efforts to save the European Bison since Soviet times, but has been scandalized in recent years by apparently open warfare between employees and the park’s management. An earlier statement on reserve website, which appeared to be written by disgruntled employees, said KaMaZ trucks dumped several crates of rotten mandarins and tomatoes in the Bison enclosure sometime before New Year’s, according to the statement. The statement laid the blame for Shponti’s death squarely on the park’s director. Three bison have died at the reserve under murky circumstances in recent months. A female bison, Madonna, perished on Jan. 7, the same day as Shponti, and an eight-year-old breeding bull named Multon was euthanized in October after he apparently broke his jaw. The results of an official inquiry into Shponti and Madonna’s death are expected in mid-February. NASHVILLE, Tenn.— A coalition of environmental groups today filed a formal notice of intent to sue the Tennessee Valley Authority (TVA) for forcing the closure of a rearing facility for endangered fish and mussels at the Gallatin Fossil Plant for a controversial construction project. The project would shutter the Cumberland River Aquatic Center to make room for coal combustion equipment and a series of 15-story-tall coal-ash dumps. The Center for Biological Diversity, Sierra Club, Tennessee Environmental Council and Tennessee Scenic Rivers Association jointly filed the notice under the Endangered Species Act. “It’s just ludicrous that the Tennessee Valley Authority’s shutting down one of the most successful endangered mussel hatcheries in the country to make room for coal ash and equipment — and without any regard for the law,” said Tierra Curry, a biologist with the Center for Biological Diversity. Pink mucket mussels photo courtesy Craig Stihler USFWS. Photos are available for media use. The Cumberland River Aquatic Center is critically important to preserving endangered freshwater mussels, which serve an important role in protecting water quality throughout Tennessee and the Southeast. Nearly $800,000 of public funds has been spent to build the center’s conservation program, but TVA has unilaterally ordered the center to close to make way for its broader plans to spend more than $1 billion to overhaul the obsolete and polluting Gallatin Fossil Plant. TVA is required to support the center’s operations in order to compensate for damage its dam systems do to endangered wildlife throughout Tennessee. With the breeding facility closed, that damage will continue unabated while TVA continues to pollute. “It’s bad enough that the TVA plans to continue to burn coal, putting our health and climate in danger; now it’s busy hammering nails into the coffin of the region’s endangered fish and mussels. It’s adding insult to injury,” said John McFadden, executive director of the Tennessee Environmental Council. TVA, a federal corporation, announced its plans to shutter the aquatic center last month in an “Environmental Assessment” document required to install air-pollution-control equipment at the coal-fired power plant. The corporation ordered the aquatic center to be dismantled without undertaking public review and without consulting with U.S. Fish and Wildlife Service on the effects on endangered species, both of which are required by law. The closure of the facility also directly harms endangered mussels, in violation of the Endangered Species Act. “At a time when other major electricity providers are moving into the future with cleaner, more efficient options, TVA is taking a major step backwards by doubling down on a plant that’s over 50 years old. TVA customers will foot the bill for this outrageously expensive plan that locks Tennessee into an outdated and destructive energy system for decades to come,” said Louise Gorenflo, lead volunteer for Sierra Club’s Beyond Coal campaign in Tennessee. Independent economists have criticized TVA’s plans for ignoring lower-cost options that could preserve the aquatic center while also meeting customers’ energy needs. The coalition is calling on the corporation to save the hatchery and transition the plant away from burning fossil fuels. Upgrades on the plant’s pollution equipment would cost more than $1 billion; the groups are urging TVA to spend the money on energy efficiency and clean-energy alternatives instead of extending the life of the old coal-fired power plant. The Cumberland River Aquatic Center has been remarkably effective at rearing endangered mussels; last year alone the facility produced 18,000. It is the most productive hatchery in the country for rearing the endangered pink mucket mussel, and also rears lake sturgeon and alligator gar. Charlie Wilkerson, president of the Tennessee Scenic Rivers Association. More species of freshwater mussels are found in the American Southeast than anywhere else in the world, but 75 percent of the region’s mussels are now at risk of extinction. Freshwater mussels are the most imperiled group of animals in the United States, with 35 species already having been declared extinct. Once widely used to make buttons and jewelry, mussel shells, like trees, accumulate growth rings that can be used to determine their age. 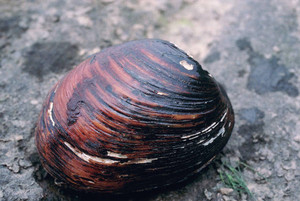 Freshwater mussels can live for centuries, making them among the longest-lived invertebrates. “Tennessee’s freshwater mussels have beautiful shells, beautiful names, and play a crucial role in the natural and cultural heritage of the region. We should do everything we can to help save them from going extinct,” said Curry. Man and beast have tussled for eons on who gets to be on top of the food chain. In the end, man came out on top with guns blazing. Such the tables have turned, that it has sent the World Wildlife Fund (WWF) in to a scramble to protect a fledgling yet endangered leopard population in the wildlife reserve of Ayubia National Park, Galiyat. “The focus of advance research is to find out threats to common leopard, check out its migration range and for adopting latest measure on scientific grounds for conservation of wild cats in the region”, Wasim Ahmad, a coordinator for the international non-governmental organisation, working to save the endangered species of wild cat. Talking to APP, Wasim said that their target was to install radio collars on at least two leopards in order to track their movement. For this purpose traps have been set up around the park. Though the population of big cats in Galiyat is satisfactory, but still the species continues to face numerous threats like a fast shrinking habitat, human-leopard conflicts and reducing forests, Waseem added. Galliyat, he continued, is home to the largest population of common leopards in the country and reduction of habitat for the rare wild species is posing a threat to its survival in the region. Kuito — The head of department of the Forest Development Institute (IDF) in central Bié province, Rosário Lopes Teixeira, Thursday in Kuito admitted the extinction of some species of trees in the region, given the disorderly cutting of trees by coal makers. The official was speaking to Angop while assessing the activity carried out by the institution in 2012. He underlined that among the trees threatened with extinction, stress goes to the native species of Ombango, Ossesse and Omanda. The official stated as well that another factor threatening the survival of some species is the cutting of trees for timber. Rosário Teixeira said three inspectors are required in each municipality to arrest the situation crippling mainly the localities of Kuito, Andulo, Kunhinga, Chinguar, Chitembo, Kamacupa, Katabola, Kuemba and Nhârea. According to him, Andulo is currently the municipality suffering most with the threat owed to the cutting of trees for coal. The province of Bié has an area of 70,314 square kilometres and about two million inhabitants. It hosts a dense game forest, mainly in the municipalities of Chitembo, Kuemba, Chitembo, Kamacupa and Andulo.